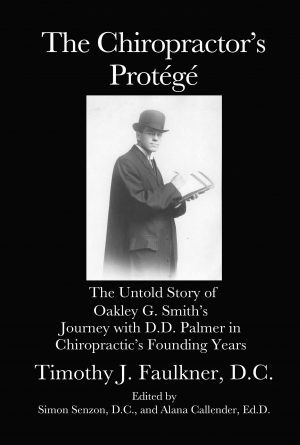 The Chiropractor’s Protégé: The Untold Story of Oakley Smith’s Journey with D.D. 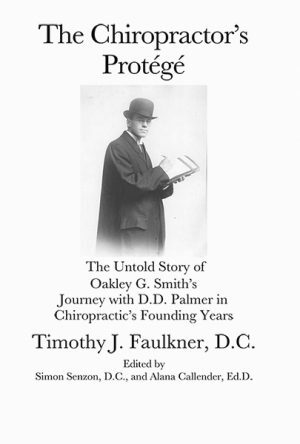 Palmer in Chiropractic’s Founding Years, is an introduction to chiropractic history for students and doctors of chiropractic. It may also serve as a text for other disciplines that seek to understand the historical emergence of chiropractic. The book is organized chronologically and grouped into five main parts; Starting the Journey, The Protégé Emerges, Student and Teacher as Partners, Professional Conflicts, and The First Napravit. Each chapter contains primary source materials including journal entries, letters, newspaper accounts, and photos. Excerpts from Smith’s journals and several additional letters are included as appendices. Many of the photos in this book are not found elsewhere. This book not only updates the chiropractic literature by establishing new facts but it sets a new standard for chiropractic historical scholarship. This text offers an objective view of the early history rooted in primary source material.